Self-storage allows you easy access to your car, RV, or other valuables. Items can be added and removed as needed, without having to make special arrangements. A wide variety of belongings can be preserved in a climate controlled self-storage unit. Valuables such as records, books, and photographs may be damaged by heat if stored in an attic or garage space. In our climate-controlled units, this risk is greatly diminished. Valuables that do not have a place in your home, such as your mother’s antique clock, your grandfather’s train collection, or a loved piece of art that cannot be properly displayed, can be kept safely in a locked storage unit where damage is unlikely. Storage units offer a greater amount of protection not only from the elements, but also from theft. Vines Storage features tall walls, locked buildings, and 24/7 surveillance. A self-storage facility near your home means that you can easily access items as needed. Self-storage is an incredibly affordable option for maximizing the space in your home or business. We offer both long-term and short-term contracts, making it easy to store belongings for years or for just a few months. Storing less-used items in a storage unit helps you maintain an organized, uncluttered home or office. Using some of our self-storage tips, you can make sure you know exactly what is in your storage unit at all times, down to the particular box! Many of us find that we end up with more than what our home or office can reasonably hold at some point in time. If you feel as though your home has become a virtual storage unit, reclaim your space by moving valuables into a safe, protected location. 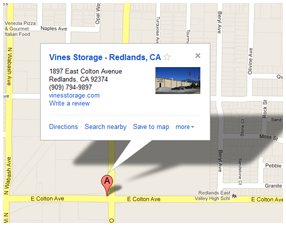 Contact Vines Storage for information on our units and leasing packages.